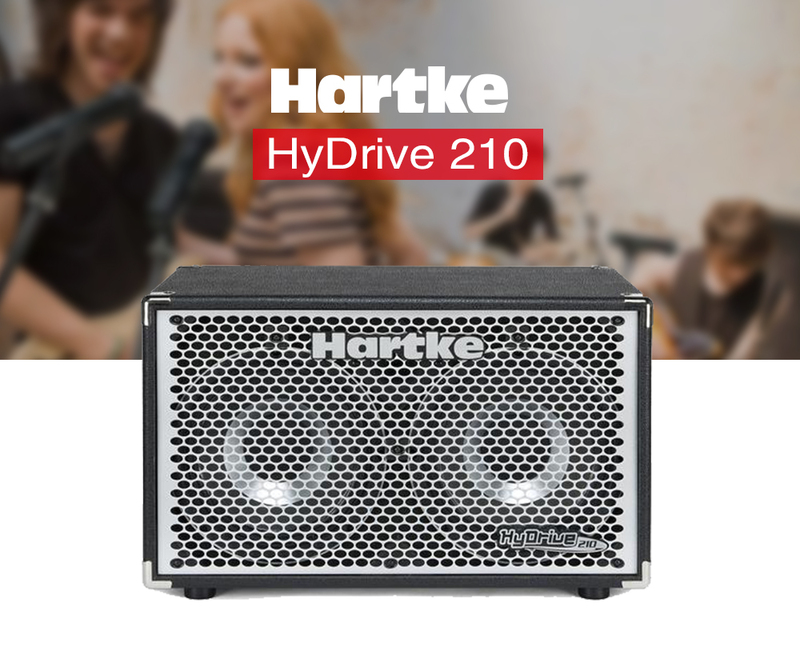 Hartke's HyDrive revolution continues with the high-powered, lightweight HyDrive 210 Bass Cabinet. This all-new enclosure features two patented HyDrive speakers (10" each) with rare earth neodymium magnets. An 8-ohm cabinet capable of handling 500 watts of power and weighing less than 40 pounds, the HyDrive 210 is perfect for all practice and performance situations. Hartke's revolutionary HyDrive speakers feature carefully crafted paper/aluminum hybrid cones designed to deliver the perfect match of warmth and attack. The use of rare earth neodymium magnets lets the HyDrive speaker shed the typical weight of a bass cabinet and maintain the tight punch that has defined the Hartke sound. The HyDrive 210 uses a 1" tweeter to further help your tone cut through the mix. Exceptionally roadworthy, the HyDrive 210 cabinet features a solid plywood construction with extensive bracing and dado joinery (a preferred method of cabinet construction), along with a full steel grill and inset side carry handle.